seems to have calmed down. As of the beginning of last year, a young South German chef, Sebastian Roesch, has been in charge and my family and I were eager to try out Restaurant Mesa again after so many years have passed since our last visit to this place, when being under the lead of Marcus Lindner. 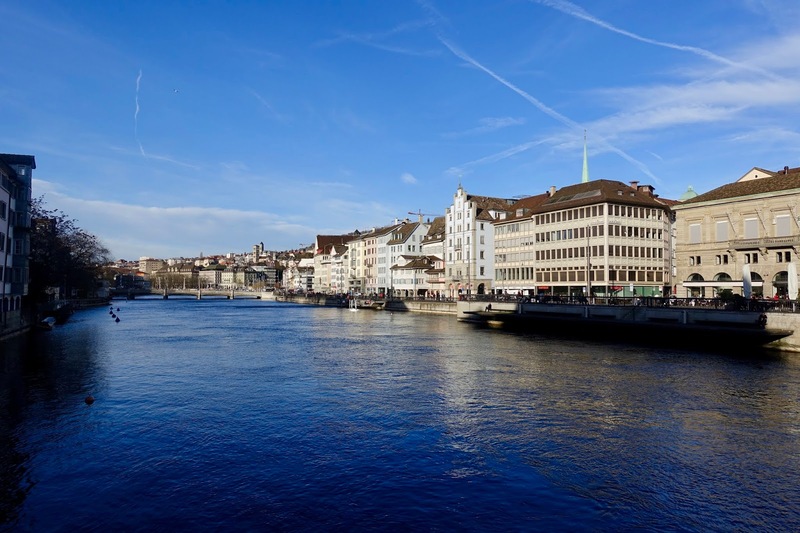 While Mesa having been awarded two Michelin Stars and 18 Gault Millau Points at the best of times (under Marcus Lindner), it was awarded – in the current constellation – a Michelin Star and 15 Gault Millau Points. Mesa is located not far away from the main station – it can be reached from here in about ten minutes by foot –, but it is not in the lively city center as you would expect such a restaurant to be situated. In fact, it is set in an upscale residential neighborhood (Kreis 6) in a rather non-descript house with a handful of tables for two in the small front garden area. Once you enter the restaurant, you encounter a modernly styled interior. It is of a casual chic but without being pretentious. There are tables set up with white linen, a dark wooden floor and contemporary furniture. It feels stylish, and this in an understated way. It is the perfect place for fine dining in a relaxed atmosphere. Restaurant Mesa provides space for 38 persons in the dining room plus an opportunity for private dining (16 persons) on the second floor. 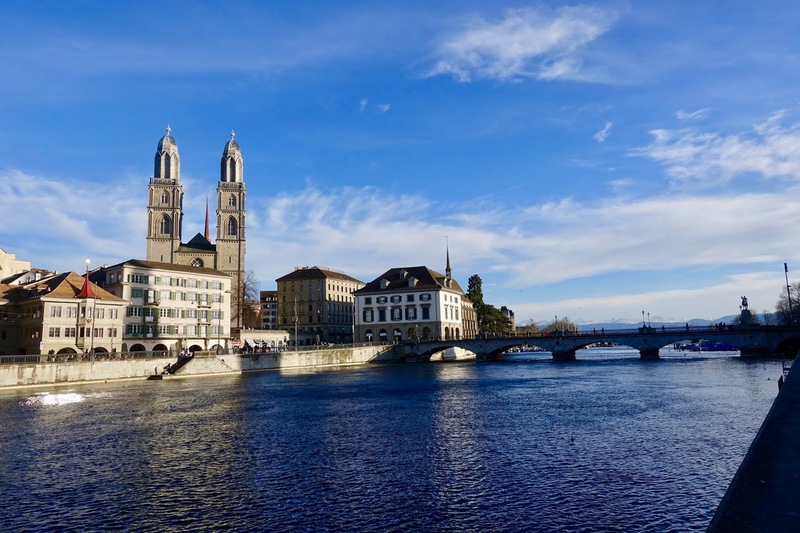 Furthermore, the restaurant is air-conditioned, which is still a rarity in Switzerland. Sebastian Roesch’s cuisine is modern but based on classic recipes and techniques. With his creations he has the essential of a dish in mind, and this with the best produce available. When composing menus, he is inspired from influences coming from near and far likewise. There are two menus available. On the one hand, there is the Indulge Menu with four sections (starters, entrees, main courses and desserts), each offering two to three options, from which you can choose three to six courses. On the other hand, there is the Chef’s Choice with seven courses that are all different from the ones in the other menu. It is also possible to exchange dishes among each other. My family went for the Chef’s Choice as we wanted to have “the whole shebang” rather than only get a flavor of the place. was a promising start to our meal. 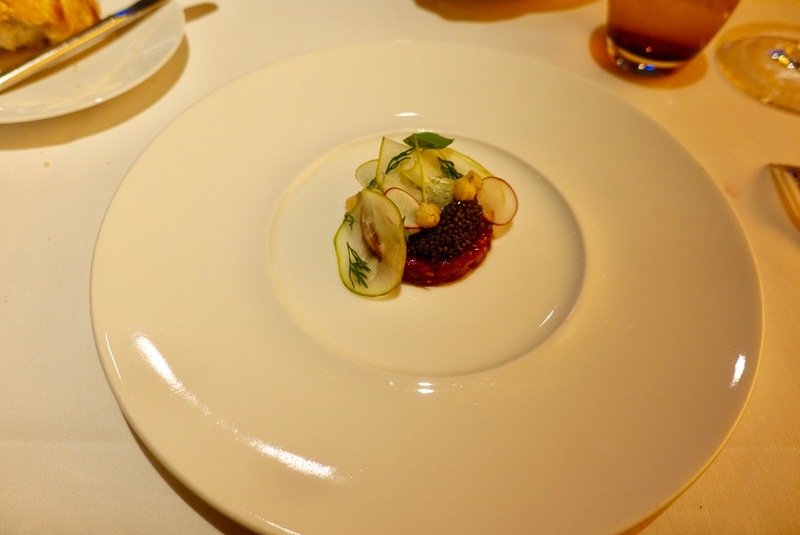 It was the most flavorful tartare I have had in a long time and the combination of beef with caviar worked just fine. Next was jar with Botzi pear and saffron dashi. The fish was only slightly cooked and tenderly melting. 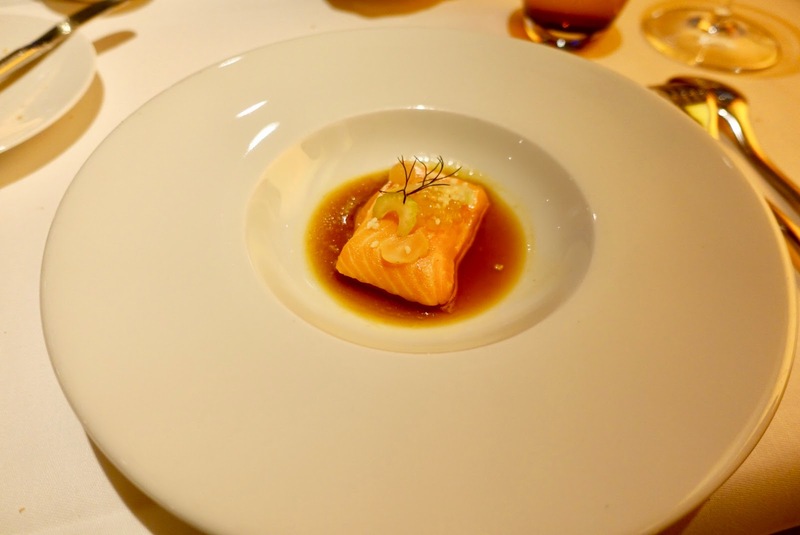 It was accompanied by a broth with a distinct umami flavor that gave the dish depth. The next course was served by the chef himself. 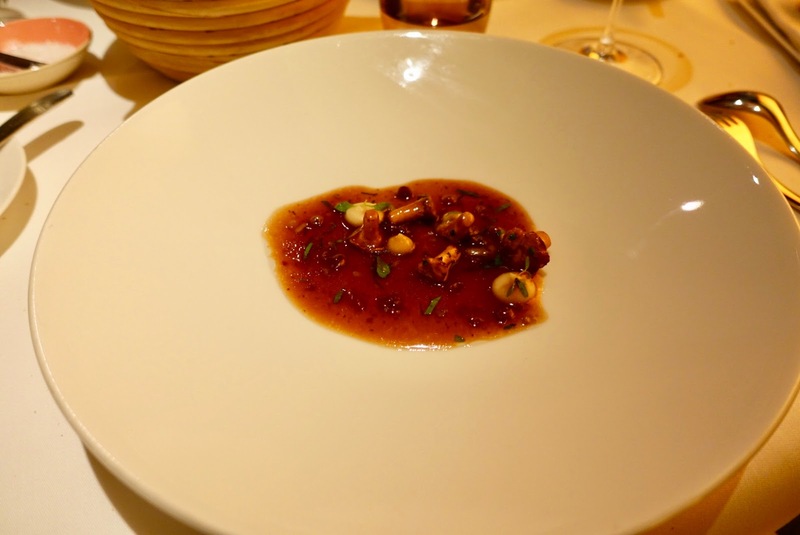 Plates with chanterelles and celery were brought to the table and the chef poured in a rich venison jus with marrow. What a complex taste experience! And the accompanying roll was the cherry on the cake! what resulted in a very well-balanced treat. 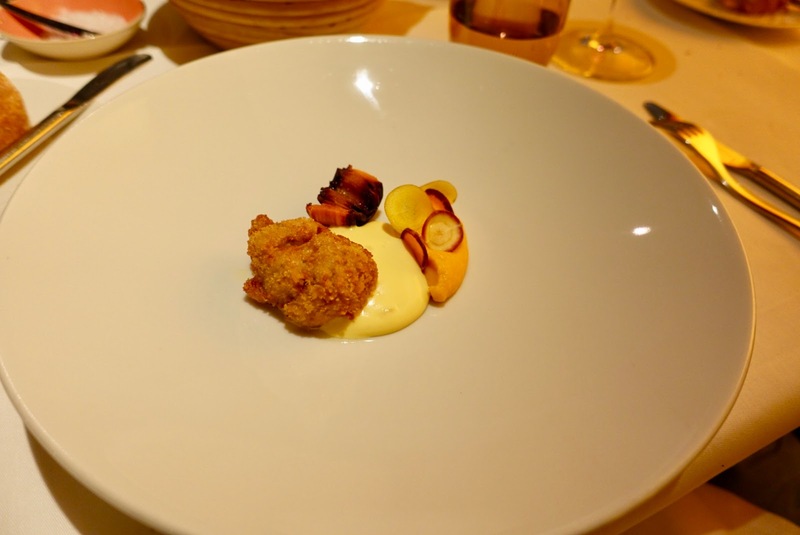 Before coming to the main course, the chef had something special in mind, an ingredient that is not used very often anymore in contemporary cuisine, offal, more precisely, veal sweetbreads. He served it breaded and together with carrot and miso. While the combination worked well (Excellent sauce!) and the offal was immaculately prepared, it was not one of my favorite courses, but this is probably due to the fact that I am no big fan of sweetbreads in general. In any case, hats off to the chef for its bravery to use such an extraordinary ingredient! 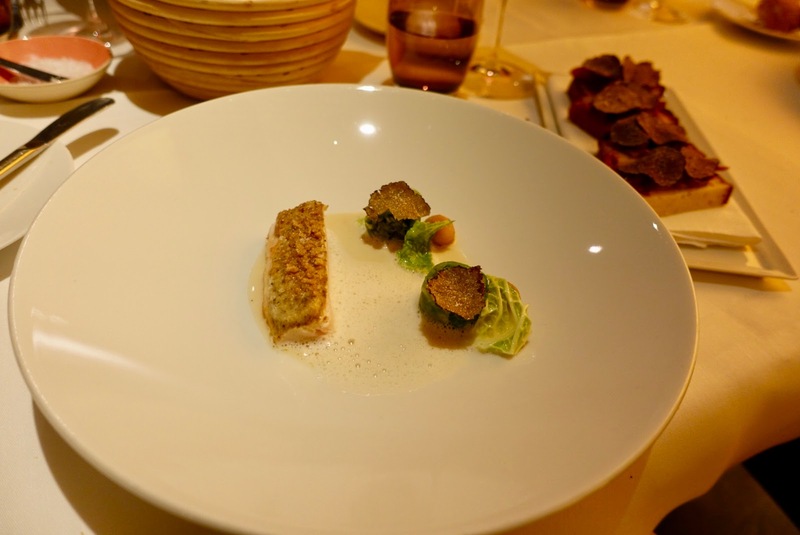 The main course comprised of Swiss poulard, summer truffle and savoy cabbage. An original idea was it to add some kind of soaked brioche covered with truffle, which brought the dish on a higher level by delivering an extra shot of flavor. provided plenty of excitement to my tastebuds and was the perfect way to end a fabulous meal! 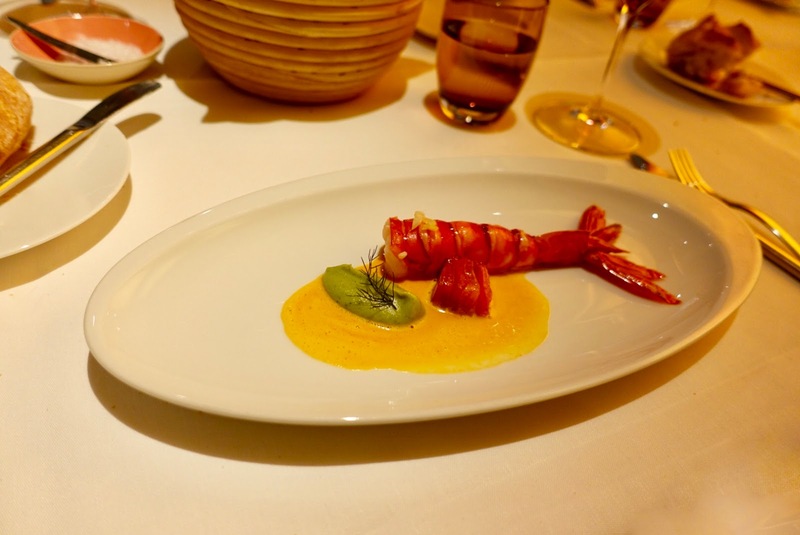 All of us were delighted by the Chef’s Choice, what a true epicurean experience! Staff under the lead of chef de service Sandra Brack is rather young, predominantly male and dressed in black. It is attentive and knowledgeable but without being intrusive and a know-it-all manner. At the same time, service is down to earth, there are no attitudes here. 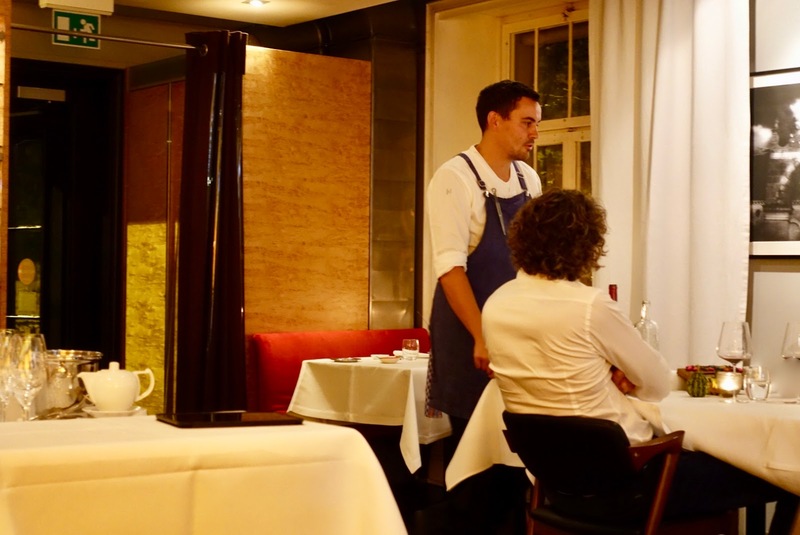 What I liked was the fact that the chef, Sebastian Roesch, was present in the dining room, and this in the position of a server now and then, a great touch! If you had wished, you could have asked him a question or made a comment. He seemed to be a gracious and engaging kind of person. Prices here are rather high, but absolutely aligned with the quality provided. In comparison with other restaurants of the same class in the area, I would judge the price level as competitive. As mentioned above, you can choose between three and six courses. Three courses with fish or meat cost 110 SFR and each additional course amounts to 20 SFR more (six courses cost 170 SFR). In case you opt for vegetarian food “only”, you pay 85 SFR for three courses, 105 SFR for four and 120 SFR for five courses. 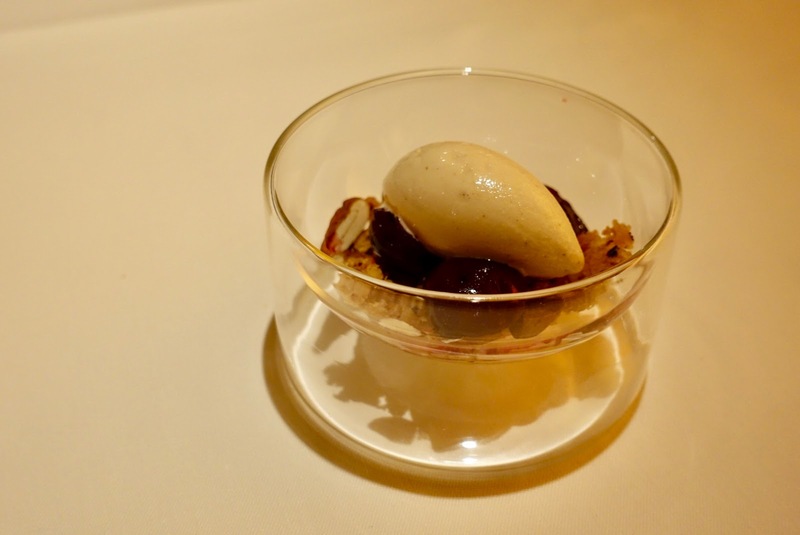 Should you go for the Chef’s Choice – very much recommended –, you get seven courses but only pay for six ones, meaning 170 SFR. I had heard that the new chef at Mesa – actually not so new anymore as he has been in charge for more than one and a half year – makes a fine impression and I can confirm this statement. Our experience at this favorably located fine dining venue was first rate. Not only loved we the young German chef’s inspired dishes featuring a modern yet classically based cuisine, but we were also fond of the relaxed ambiance here. 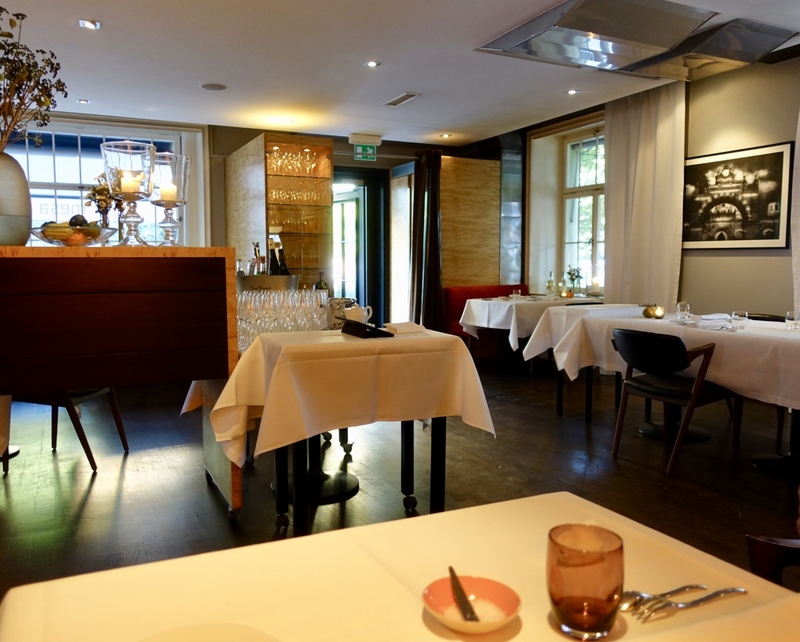 I am sure that this restaurant will soon be awarded more than the current 15 Gault Millau Points!